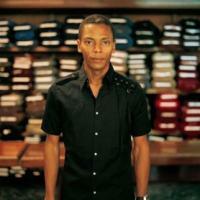 We are proud to bring you 'the wizard' JEFF MILLS and Nightvision favourites PAN-POT & MARCEL FENGLER. We are proud to bring you one of our biggest techno shows to date on Saturday the 29th of December. Featuring ' the wizard' JEFF MILLS and Nightvision favourites PAN-POT. Also making his Nightvision debut is MARCEL FENGLER. One of Berghain’s first residents, he brings his experience and renowned ability to mix up different styles, atmospheres and textures to suit the mood of any dance floor. Klockwork's Jay Clarke, Edinburgh legend Stephen Brown & rising Second-State Glasgow based talent Frazier complete this mega line up.